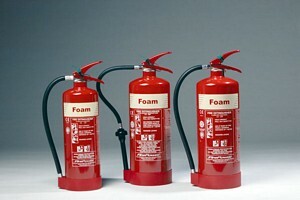 Call ETC Fire for swift and efficient fire extinguisher servicing operations throughout East Sussex. Our professional fire extinguisher expert will come to your premises and check the efficiency of your fire protection installations, and issue the appropriate documentation to say that your equipment has been checked and certified up to date and safe. A fire extinguisher servicing contract every six months will ensure that you keep your company, home or commercial premises at full compliance for fire regulations and that all your appliances are safe and ready to use. With 40 years in the fire protection business you can be sure that your fire extinguisher servicing in East Sussex is in good hands. ETC Fire can be counted on to keep your fire compliance in readiness. We handle all the checks and details, logging results and keeping records which will give you and your staff the safety and peace of mind. A servicing contract where we visit without fail once or twice a year, we can offer you a complete Fire Protection Service. Sourcing the right fire extinguishers for your premises, not wasting money and getting the existing ones serviced and checked at regular intervals is a job best left to the experts. All parts used comply with Manufacturers' Instructions. Our staff are BAFE trained Service Personnel and approved to inspect and maintain all kinds of portable fire extinguishers, including the service and commission of extinguishers bought off the Internet. We can also advise you where best to store your fire protection equipment and instruct your staff on the safe use of the same. We offer complete fire protection for businesses and domestic customers requiring fire extinguisher servicing East Sussex. We aim to beat any other offer in your area. Please contact us for a discussion of your needs and a tailored quote.